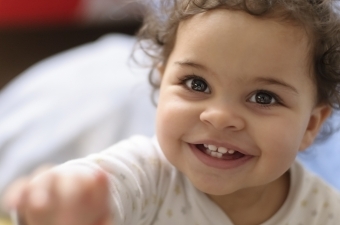 In the first two years of life, babies develop their first set of teeth – their baby teeth. This period is an extremely important one for good oral health. This can be a confusing time for parents, and especially for first-time parents, when it comes to oral care. The SmileTown Langley Team wants to make sure that parents have all the information they need to keep their babies’ smiles healthy. So, here’s some information and tips on navigating your baby’s first years from an oral health perspective. Teething refers to the process of your child’s baby (primary) teeth growing in. Teething usually begins around 6 months of age, and most children have their full set of primary teeth by the time they’re 3.
talk to your doctor or pharmacist about prescribing a mild pain reliever if your child is extremely uncomfortable. Once your baby’s teeth begin coming in, tooth decay must go on your list of things to deal with. The vast majority of the nutrients your child ingests during his or her first 6 months – from breast milk, formula and cow's milk, to fruit juice – contain sugar. And, many of the solid foods you’ll start to introduce at the 6-month point will also often contain sugar. Combine these sugary foods with frequent, prolonged exposure (for instance, if you’re sending your baby to bed with a bottle or sippy cup), and tooth decay can become a real danger for your teething baby. That’s why – even at this early stage – taking care of your baby’s teeth and gums is extremely important. start bringing your child to the dentist regularly for checkups and cleanings within 6 months of the eruption of the first tooth, or before his or her first birthday. Above all, don’t stress! If you get your baby on a regular oral care schedule following these steps, you’ll be fine. And if you need help or guidance, get in touch with your SmileTown Langley Team; we’ll be more than happy to answer any questions you may have.